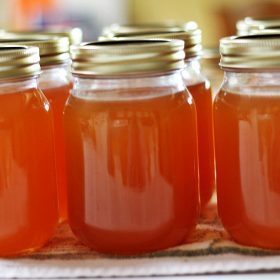 How to Make Delicious Peach Jam? Peaches are among the most delicious fruits in the world. That’s probably why you can see canned peaches and jars of peach jam in supermarkets almost everywhere in the world. But how well do you really know this amazingly fuzzy skinned delectably sweet fruit? Now, if you haven’t seen a peach fruit in person, you may probably have at least heard about it somewhere. Perhaps it was mentioned in the book you just read, or in a song you just heard. That superbly fun song about “Peaches” by The Presidents of the United States of America certainly comes to mind whenever I hear the word. But pop culture references aside, do you know that the peach tree actually belongs to the rose family? But you shouldn’t confuse it with the roses you probably buy for your crush on Valentine’s Day. Peaches belong to the genus Prunus, in which other fruit bearing trees such as cherries, plums, and apricots also belong. Peach trees, however, do also bear pretty flowers. But they’re known and cultivated more for their fruits instead of their flowers. Moreover, there are over a thousand varieties of peaches in the world today. The fruits though, are generally categorized into three types: clingstone, freestone, and semi-freestone. Clingstone peaches are those with its flesh sticking to the pit while freestone peaches are those with flesh that easily separates from the pit. Probably more for convenience than anything else, freestone peaches are the ones that are usually eaten fresh. Clingstone peaches, on the other hand, are the ones that are usually used for baking, canning, or preserves. 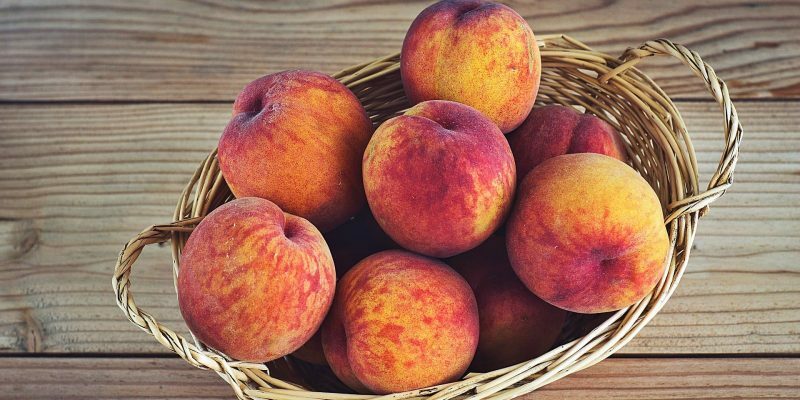 As for the flesh, clingstone peaches are generally sweet, soft, and juicy while freestone peaches are considered firm, and less juicy and sweet. As for the third type, semi-freestone is actually a hybrid of two and a fairly new type of peaches. They generally may either start as a clingstone or freestone type but when they ripen, the flesh becomes quite easy to separate from the pit or seed. So which one should you use for baking or making preserves? Well, many jam makers say all three types of peaches will, more or less, yield the same delectably delicious result when cooked or baked. So for the recipe below, it’s fairly safe to say that you can use whichever type of peach you can get your hands on. This peach jam recipe was taken from my grandma. I made half a batch, reduced the sugar slightly but the jam is still a tad sweet for my liking. But with previous jam-making attempts ended up in the trash because they were all burnt, I’m happy enough with the result. 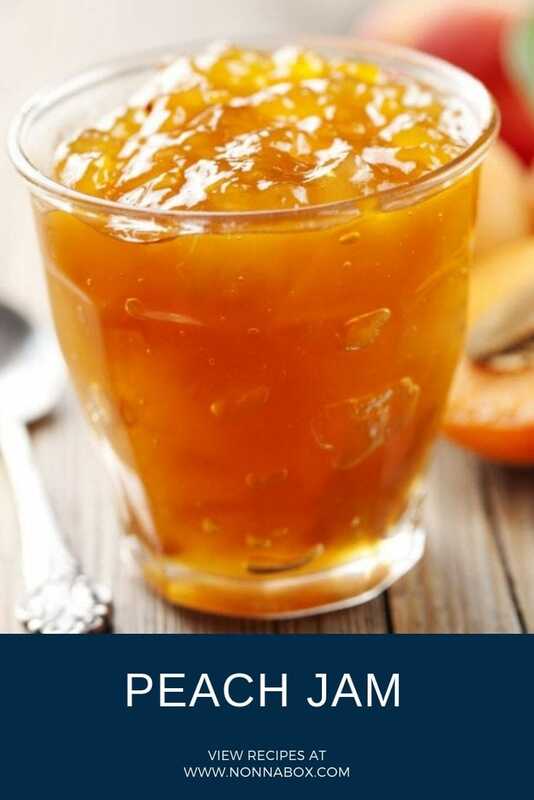 This peach jam recipe is what you are looking for: sweet but not too much, it extracts the flavors from the peach like nothing else. Scrub the oranges with a vegetable brush, then chop into small pieces, including the peels. Place the chopped peaches and oranges in a pot or big bowl. Mix in sugar, then cover the bowl, and place in the refrigerator overnight. The next day, simmer the mixture over low heat and then cook for 2-3 hours, stir occasionally. When the jam has thickened, remove from heat. Let it cool to room temperature, and then ladle into jars. Put them on your favorite Italian breads or use it in our peach crostata recipe, or give them to family and friends as yummy gifts. 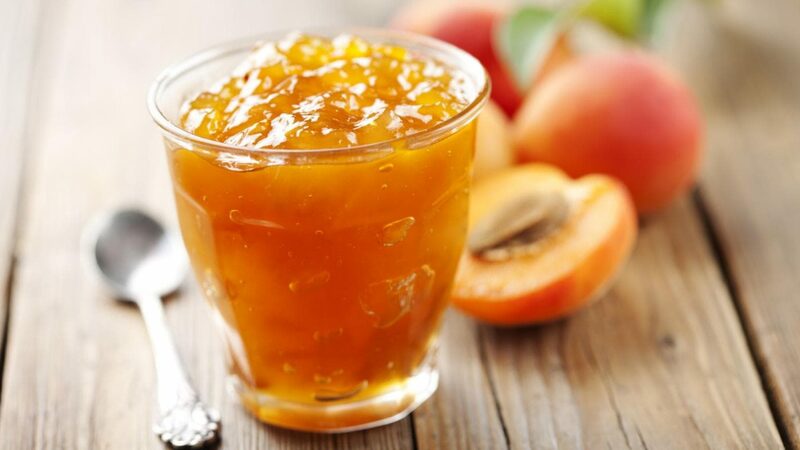 Whichever you may decide to do with your peach jams, they sure are easy and fun to make. This looks delicious and easy to make. I’ll try it this weekend.